Boy, has it been a crazy few weeks. I’ve been sick just about the entire month of December and then our son, Ryder, was sick with the flu. He’s finally starting to feel much better–just in time for Christmas! I always love to share our Christmas Card each year. I would like to think that one day our kids will look through our blog and get to see how they’ve grown throughout the years. 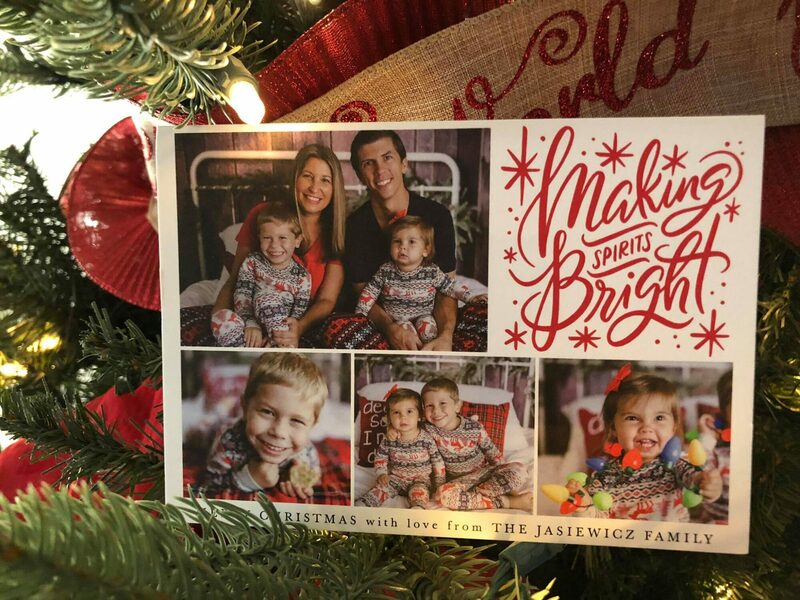 This year we went with the Making Spirits Bright Christmas Card from Minted. It’s actually a postcard–we tried something new this year. I loved our Christmas pajama photos so much that I couldn’t just select one. I just wanted to pop on and wish those who celebrate the season a very Merry Christmas. May you day be filled with love, joy, and family. Our past few days have been just that as we have been surrounded by family both near and far. Christmas is very magical at this stage of life with two little ones who enjoy the magic of Christmas! We are excited for the new year and can’t wait to share with you our updated new website next year!